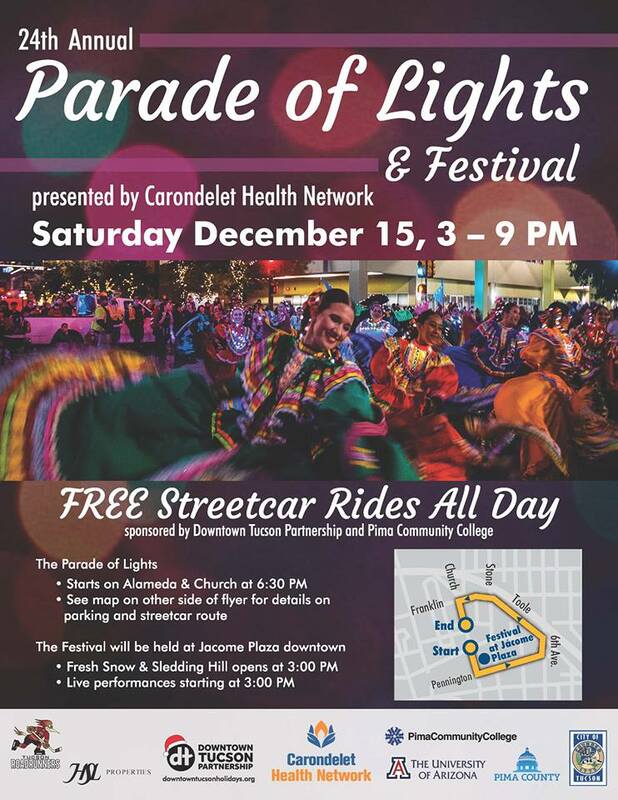 “Carondelet Health Network and the Downtown Tucson Partnership are proud to welcome the community to celebrate the holiday season with the 24th Annual Parade of Lights & Festival! The Parade of Lights & Festival is Downtown Tucson’s premier holiday event that brings together the entirety of the local community from all walks of life to celebrate not just the spirit of the Winter season, but also the unique culture of the Tucson community. In a grand scale procession throughout an illuminated and decorated downtown, attendees can expect to see a cavalcade of colorful floats, Baile Folkloriko dancers adorned with brilliant lights, marching mariachis, and even parading pups! 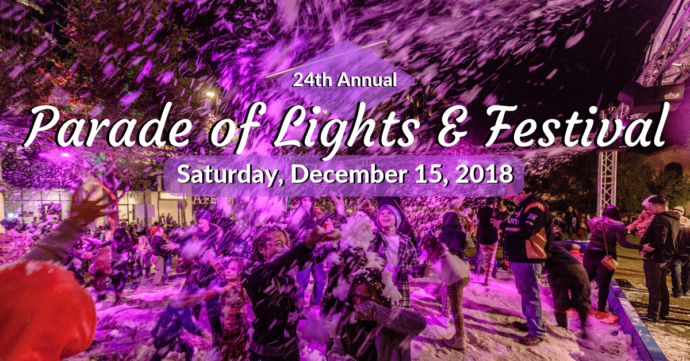 The parade is also adjacent to a fantastic festival in Jácome Plaza, which includes live entertainment, a veritable smorgasbord of foods from local vendors, and SNOW! Route and schedule on flyer above. 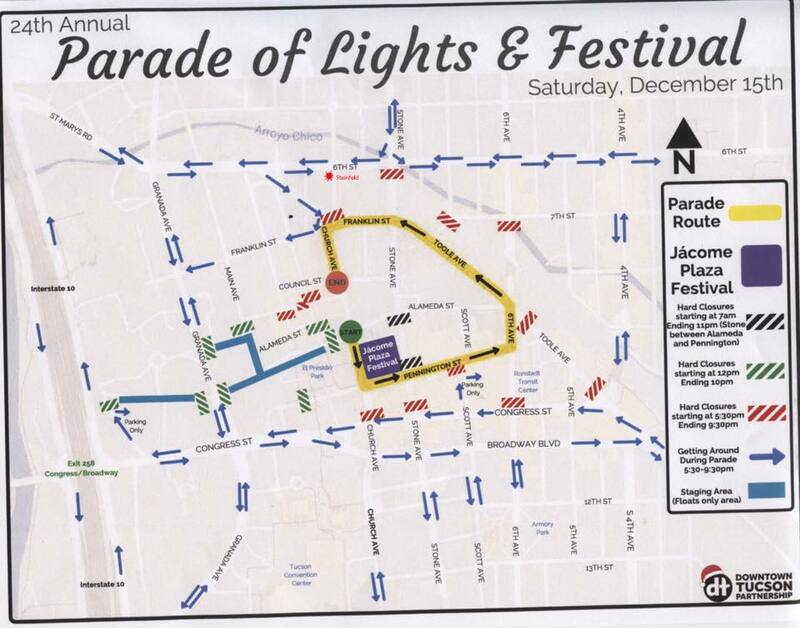 Parade map below, updated.